Solitary or eusocial with most nesting in the ground, some nest in wood. Mass-provision individual cells with pollen and nectar, which are then sealed after a single egg is laid on the provision. 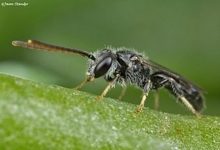 Photograph of Lasioglossum © Jason Stander. 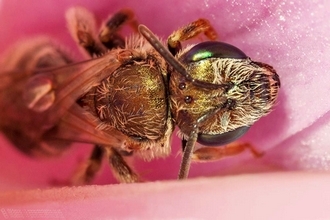 Photograph of Halictus © Ivan Andersen.